Educators bristle when their work is narrowly characterized as workforce development. Progressives tend to emphasize the broader purposes of K-12 education. However, given the widespread economic anxiety evident in the current presidential election, maybe more attention should be paid to how education, work, and respect interact. 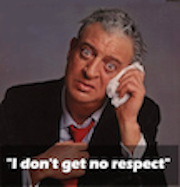 Rodney Dangerfield delivered, "I don't get no respect," as a self-deprecating comic line. But for the nation, lack of respect is a deadly serious and widespread perception. Its roots are growing inequality and the sense that life chances are just not fair. We all identify with the need for respect and the pain of its loss. How voters- and the policy makers they elect- respond to inequality-driven resentment will determine whether we turn to xenophobia and racism or instead reject divisiveness to find common cause across our differences. In the United States, with its emphasis on individualism, respect comes with the personal security of a decent well-paying job. Unfortunately, jobs that pay a living wage are increasingly in short supply and contingent upon- but by no means ensured by- a post-secondary degree. Creating sufficient good jobs and equitable education to rebuild a shared sense of fairness will not come about as a result of the current narrow emphasis on individuals. A turn toward inclusiveness and solidarity will only succeed when there is concrete government action to mediate inequity. Unfortunately, over that last several decades the United States developed a bipartisan allergy to government responsibility for social well-being. In his first inaugural address, Ronald Reagan famously said, "Government is not the solution to our problem, government is the problem." So, began a decades-long, largely successful, drive to denigrate shared solutions and promote market-driven, individual solutions to complex social problems in employment and education and a simultaneous rise in inequality. Devastatingly, the mainstream Democratic Party- at least since the advent of the Democratic Leadership Council- has turned toward rather away from a market ethos. Until recently, there has been little or no call for solutions such as a government sponsored, infrastructure-rebuilding program that could provide decent jobs for millions. The result has been crumbling bridges, roads, parks and schools accompanied by persistent underemployment- and unemployment, depressed wages, and inevitably, resentment. Simultaneously, the influence of unions as a force for the collective solutions has declined and with it the potential for unifying multiracial struggles. Similarly, in education-the subject of the remainder of this essay- many Democrats have embraced personal choice policies such as charter schools while largely ignoring social solutions such as integration or equitable school funding. Education policies have been characterized by bipartisan embrace of the half-truth that a sound education is the surest route to a well-paying job while ignoring government action to ensure full employment and robust social services. That is why "college and career ready" has been such a powerfully resonant phrase on behalf of market-based, individually focused education reform policies. Without a good education, no job, and, therefore, no respect, is in the future of any young person. There is an ongoing debate about the place of workforce preparation in K-12 education. Recent Washington Post articles quoted, Rex Tillerson, ExxonMobil's chairman and chief executive as saying, "I'm not sure public schools understand that we're their customer--that we, the business community, are your customer... What they don't understand is they are producing a product at the end of that high school graduation... Now is that product in a form that we, the customer, can use it? Or is it defective, and we're not interested?" "Education activists," the article reported, "were swift in their condemnation. The job of public schools is not, they say, to supply a workforce for Big Business, but, rather, to educate young people to participate fully in American democratic society." We should not have to choose among the varied purposes of education. However, corporations should no more control education policy than they should any other arena of public life. The profitability requirements of the modern global corporations are clearly not always aligned with meeting the needs of all Americans. While the extremely wealthy have contributed mightily to influence current education policies, it is important to remember that the emphasis on workforce development appeals to two distinct audiences. In recent parlance, the business community is interested in what the multi-national management consultant firm, McKinsey & Company calls talent development. From that perspective, business success depends on gaining competitive advantage in acquiring employees with the right skills for the least cost. To the extent that talent development costs are accomplished ahead of hiring at public expense, employers gain financially. Talent that is more abundant than available positions drives wages down and profits up. Some talent features are specific, such as the ability and knowledge to write computer code. Other valued abilities fall into the "soft-skills" domain, such as collaboration, communication, and problem-solving attitudes and skills. However, the workforce development emphasis also appeals to many parents. Wealthy and upper-middle-class parents want to preserve their employment advantages for their children. That is why access to private schools and the resource advantages that come with property tax funding of local schools endures. The remaining less well off parents know where respect comes from too, and they want it for their children. When some opt for a charter school, they know it is not a solution for everyone. However, since governments are not offering viable systemic solutions some people inevitably choose individual survival. Respect for all in education does not mean public funding for charter schools or vouchers for some. It does not mean funding schools through inequitable local property taxes. It does not mean prioritizing lowering employee training costs over a well-rounded education for all. It does mean funding education through general tax revenue in which wealthy corporations and individuals pay their fair share. 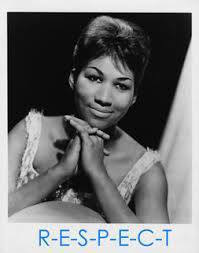 2016, let's embrace Aretha's call, "All [we're] askin' is for a little respect. " We want jobs and education for all of us to rebuild our future. We do not want jobs or schools for just some of us. Arthur H. Camins is the director of the Center for Innovation in Engineering and Science Education at the Stevens Institute of Technology in Hoboken, N.J. He has taught and been an administrator in New York City, Massachusetts and Louisville, Kentucky. The ideas expressed in this article are his alone and do not represent Stevens Institute. His education policy writing is collected at http://www.arthurcamins.com. He tweets at https://twitter.com/arthurcamins.